Florida Polytechnic University’s Advanced Mobility Institute has an essential partnership with SunTrax, the state-of the art- testing developed by Florida’s Turnpike. Enterprise. Construction for SunTrax began in June 2017 and the first phase will open by spring of 2019. LAKELAND, Fla. – Florida Polytechnic University announced the creation of its Advanced Mobility Institute (AMI), a university-affiliated technology research center focused on the development and testing of autonomous vehicle (AV) related technology. AMI is not only unique to the state, but also one of the largest university centers specialized on the narrow area of testing and verification of AV technology in the country. The research efforts target key issues that require solutions before a successful deployment of autonomous vehicles is achievable. Some of the research already taking place includes early detection of troublesome scenarios, stress test sensors, object recognition, electromagnetic interference, and human-machine verification. AMI also focuses on public outreach and advanced education of AV technologies. AMI also aims at establishing numerous industry partnerships within the rising sector of AV to advance the development of this technology, while stimulating the state’s economy. One of those essential partnerships is with SunTrax, the state-of-the-art testing facility developed by Florida’s Turnpike Enterprise (FTE) and located next to Florida Poly’s campus. SunTrax is a 400-acre site designed to test, research and develop new transportation technologies in safe and controlled environments. The 2.25-mile oval track will be designed for high-speed and multiple lanes of travel. The 200-acre infield part will include a simulated downtown urban area to test transit, pedestrian and bicycle interactions with autonomous vehicles. SunTrax will open its first phase by the spring of 2019. 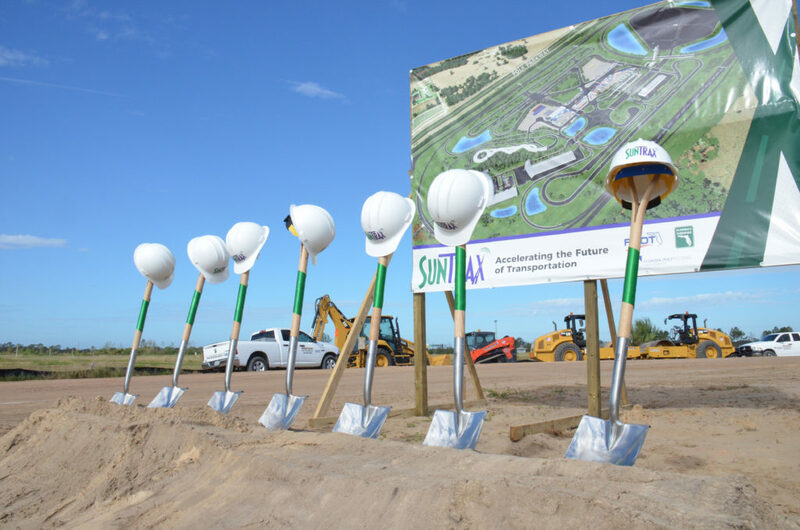 “SunTrax will be the first step in building the surrounding area into a destination for the development of this quickly advancing technology while providing Florida Poly a unique opportunity for its students to participate in the testing and development of transportation and mobility innovations,” said Paul Wai, executive director and CEO of FTE. Florida Poly president, Dr. Randy K. Avent, said that AMI and its partnership with SunTrax will be an integral piece of the advancement of AV technology in the state. 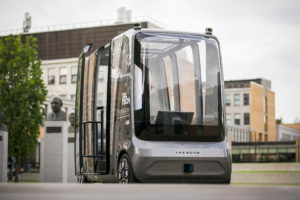 Florida Poly’s autonomous vehicle education and research program includes a specialized course in autonomous systems and self-driving vehicles. The course was developed by Dr. Dean Bushey, director of AMI, through a partnership with the Massachusetts Institute of Technology. It focuses on the technologies, algorithms, designer, and development of autonomous systems. 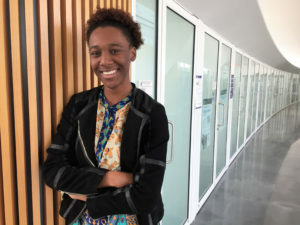 In addition, Florida Poly has a robust transportation and logistics program geared towards students interested in advanced mobility and logistics topics.